This article explains how to properly install Product Customizer (premium tier) into a shop using the Solo theme. In order to properly change the way option pricing is shown to customers, several modifications to different templates are necessary. The Solo theme is a bit unique, as the product template is not in the templates folder. Instead, go to the "Snippets" folder, and click the Snippets > single-product.liquid file in your theme. 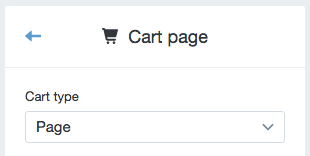 In this file, you'll add a code snippet at the very top, and one in your "add-to-cart" form. This section will add some styles to make sure Product Customizer options look like they blend in with your theme and the rest of your options. We'll add this CSS at the bottom of the app's stylesheet. To find the stylesheet, go to the "Assets" folder in your theme. Click on Assets > shopstorm-apps.scss.liquid to edit this file. We'll add a few lines of CSS at the very bottom of this file on a new line.